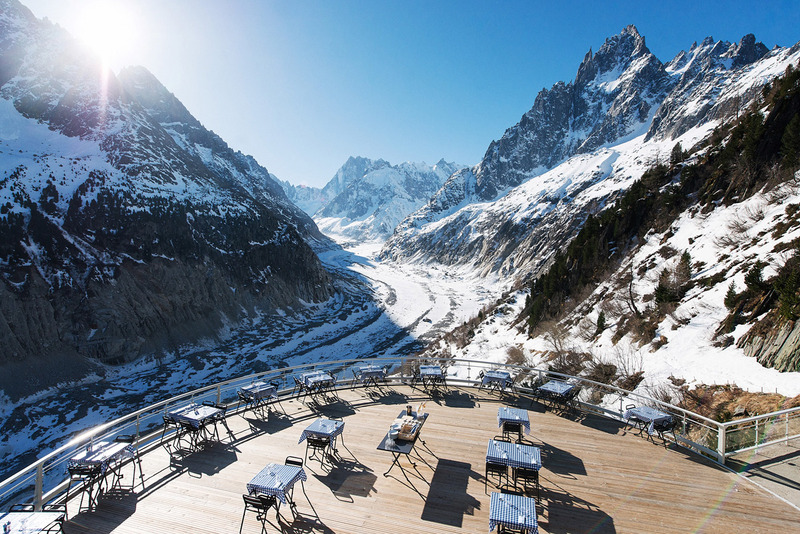 Built in 1880 to accommodate the first mountaineers and travelers who came to visit the Mer de Glace, the hotel has evolved over the decades to become an upscale refuge. 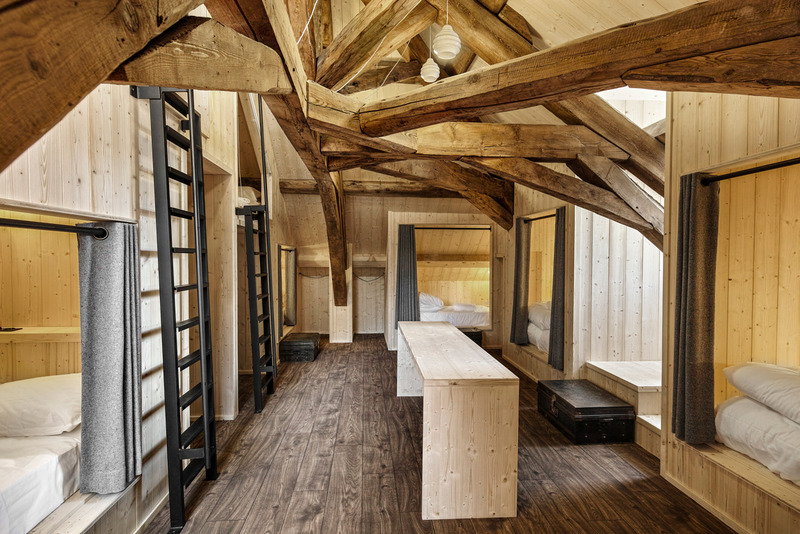 Renovated by the Maisons et Hôtels Sibuet label, the Montenvers refuge retains its soul and its values ​​of yesteryear. 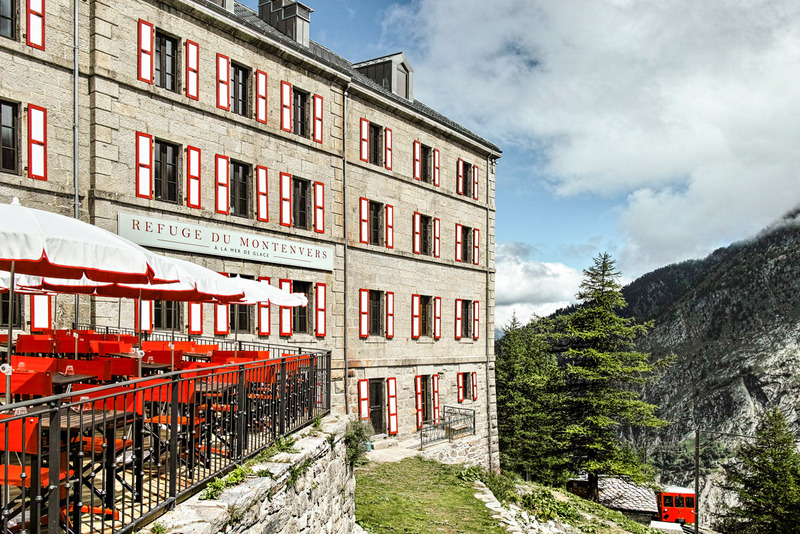 The granite facade has a timeless charm … Just like the dozens of windows that dress up on the Terminal Neige – Refuge du Montenvers. 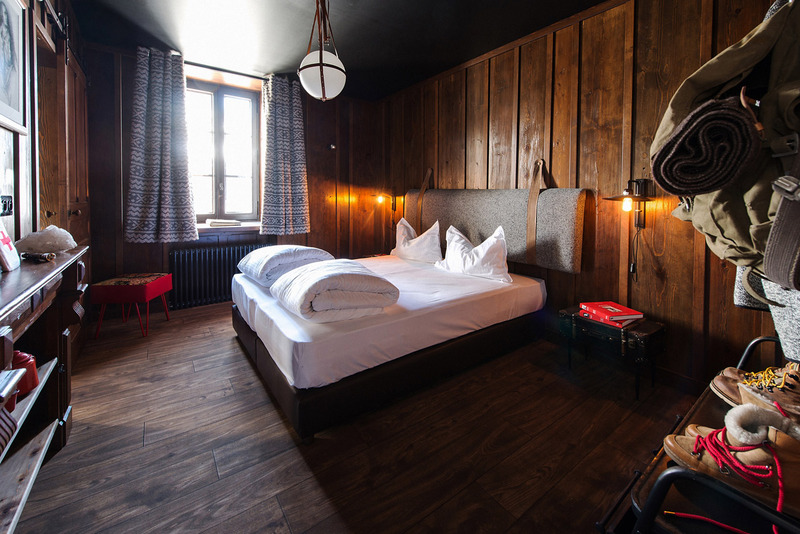 Located above Chamonix, the Grand Hotel du Montenvers offers 12 double rooms, 5 family rooms and suites and 1 dormitory for 10 people. 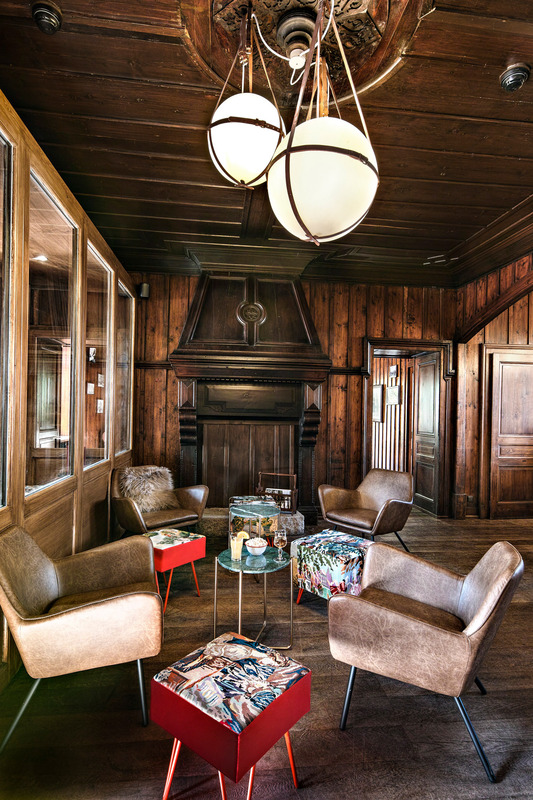 Everyone will find their place at Terminal Neige: couples, friends, families, colleges, etc. The decoration is neat and the rooms breathe calm and rest. The old furniture has been kept and use in the new hotel. 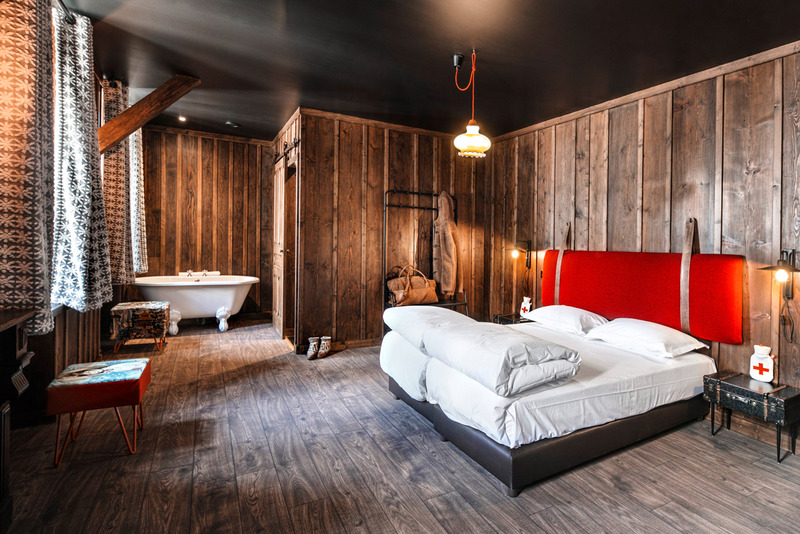 For the rooms, old wooden chimneys have been transformed into a library, bedside lamps replaced by miner’s lamps or leather trunks, brought back from trips and excursions from another period serving as a bedside table… In the bathrooms, the stone emphasizes the bowl and the retro taps. 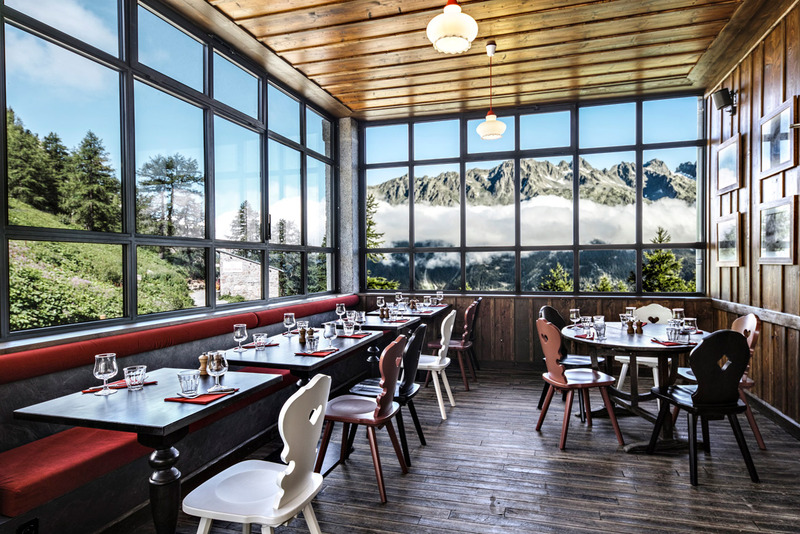 The Terminal Neige – Refuge de Montenvers in Chamonix offers two restaurants with singular decoration and sometimes, with a stunning view. 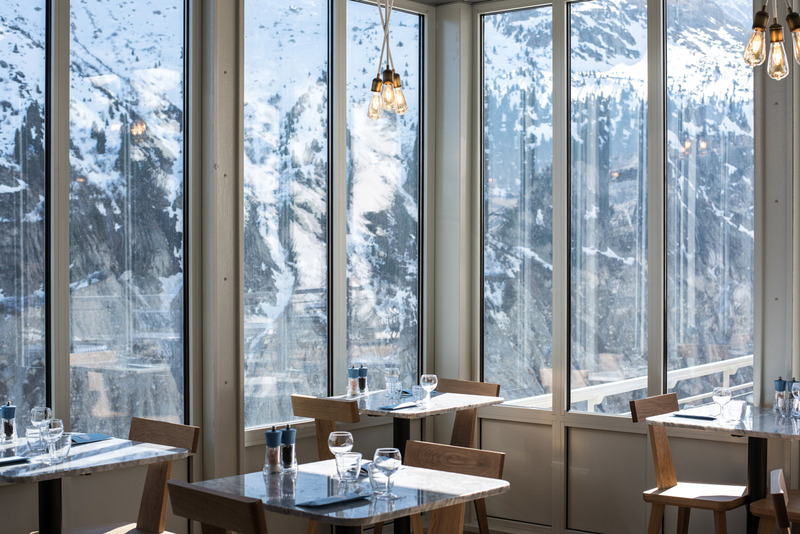 The Panoramique Mer de Glace restaurant offers a breathtaking view on the Aiguilles des Drus and the Mer de Glace. The sumptuous terrace is open on sunny days to taste typical regional dishes: potée savoyarde, chicken cocotte Grand-Mère, coquillettes Beaufort … Sweets lovers will not be forgotten: the “Mer de Glace “, a homemade frozen dessert, the traditional Mont Blanc with chestnut cream, or the meringue double cream, a delight! The Restaurant du Montenvers will also be appreciated by visitors as they can enjoy traditional Savoyard cuisine with typical regional dishes. Finally, the hikers of Montenvers and the skiers of the Vallée Blanche will be able to take a break at the Bar des Glaciers. The Refuge du Montenvers also proposes to celebrate family or professional events in an exceptional setting: birthday, seminars, incentive or even a simple meeting. Around the refuge, visitors will have the pleasure of visiting an ice cave. This timeless stop in the heart of the glacier will dive you into the life of the mountaineers of the early 19th century. This cave is accessible by a small hike of twenty minutes, or by telecabin. To get to Terminal Neige, there are several ways to go: the more leisurely adventurer will enjoy the climb from Chamonix aboard the mythical little red cog Montenvers railway, offering an exceptional ride, winding through the forest, in between peaks before reaching the icy giant. As for the adventuresome, hikers, climbers or skiers access the Montenvers in the winter either by the platform of the Aiguille du Midi or the Grands Montets ski or rappelling and crossing the Mer de Glace, to reach the staircase and the access the cable car that leads to the train station. Share the post "Terminal Neige – Refuge du Montenvers in Chamonix: a place with a stunning view"